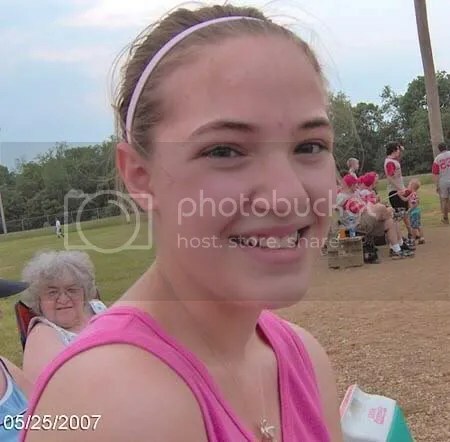 Last Friday the daughter went to the boy’s ball game with me. I have been trying to encourage her to get out more, even though it tires her out, it is good for her. I don’t know if you can see this or not, but the girl is blushing. Why would she blush? Well, I can not tell you. She has asked me not to tell anyone, however…..I can show you!!! I remember my first crush. His name was Tony. He was tall, blond, muscular and a very strong jaw line. I remember he went to the first church my dad pastored. I left the service to go to the bathroom, and he followed me out. Kissed me rather boldly in the foyer too…and I liked it! Congratulations 4hisglory. PM me your address and I will get you your prize out tomorrow. You wouldn’t believe how much they do look alike. Aside from the fact that the boy’s eyes are blue and his dad’s are brown, they do look very similar. Many people tell me that he looks like his dad. I had it narrowed down to Two Peas in a Pod and Two Heads are Better Than One, so I had the husband decide. Thanks for playing. We will do this again. I had fun. Change. Change is good unless you are one of those people who happily and joyfully live in the rut they are in. My son and I are 2 of those such people. We love our rut. We thrive in our rut! Yesterday I put a kink in the boy’s rut. How could a loving mother have done such an awful thing as that? Simple. All I did was walk a different way. We have been walking in the mornings for about 2 years now. We have found a route that is good for us, and that we like. Yesterday I went a different way. I know, I know……awful I was to him. I feel bad, but not bad enough to walk the way he wants me to this morning! This picture needs a name. These are my men. 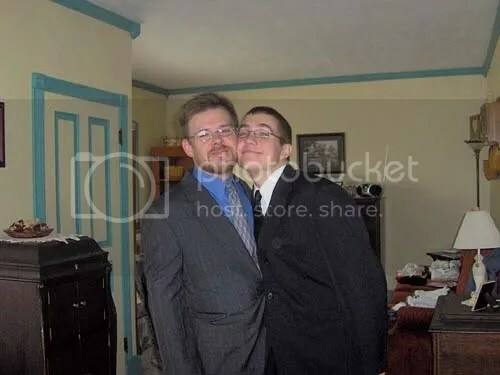 This picture was taken last fall before going to a wedding that the daughter was in, last October. Remember the prize is a priceless hand knitted dish cloth, labored over for days, by yours truly. Since I have/know no one that fits this criteria to memorialize and it is a federal holiday, I don’t plan on going to the bank. I don’t plan on checking my mail, and I won’t be watching the Indy 500 either. I do plan to do some laundry, some knitting, and maybe toss the frisbee around in the back yard. How do you plan to spend this day? 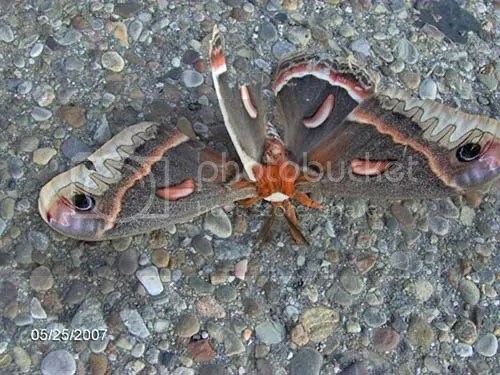 The other day as I went for my morning walk, I came upon this HUMONGOUS moth laying in the middle of the road. It’s wing span was a good 6-8 inches. So, being the super home school mom I am, I called ~~read yelled really loudly at 7:30 am, being totally inconsiderate to all the neighbors~~ to the daughter to bring the camera so I could take it’s picture. Why didn’t I go back and get the camera myself? Because every 14 ½ year old daughter, recovering from an ear infection should be made to walk down the middle of the road, barefoot, to do her mother’s bidding. It is a right of passage. That, and I was to lazy to walk back the 2 houses down and get it myself. Seriously, I knew that she would want/love to see it in person, and she did. So, here is the nasty thing……..in all of it’s fuzzy glory. This one just totally grosses me out!!! I took the pictures, went on for my walk and came home to upload them. 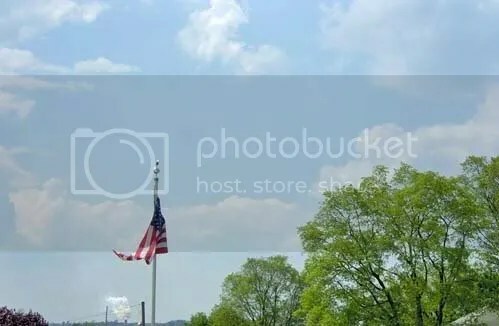 When the daughter saw that the pictures that I had taken didn’t get a “good close-up” of the antenna, she had to go back out…wearing my flip-flops. Why did she have to wear MY shoes??? Now my flip flop has touched moth antenna. Does that make me cool yet? So, to all the science freaks lovers, please don’t totally write me off. 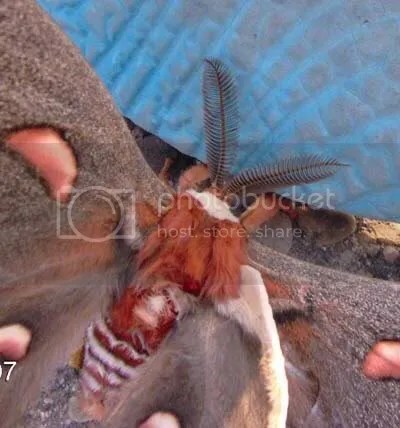 I mean I did take it’s picture, aaannnnd I let my flip-flop touch it’s antenna. However, I refused to bring it home like the daughter asked, and I am totally ignorant as to what kind it is. 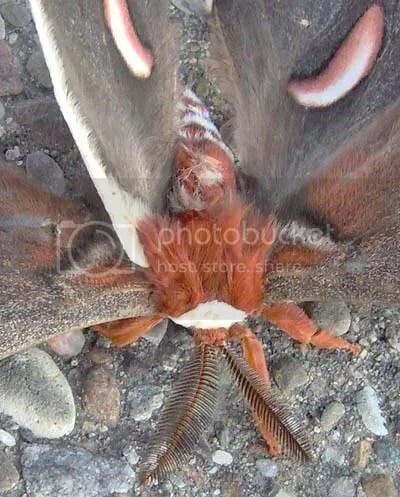 I am quite positive that Donna, Barbara-Sue, Applie or someone else will be sure to tell me what kind of nasty moth this is. So, do your kids wear your shoes? Our next lab that we did was so indescribably boring. 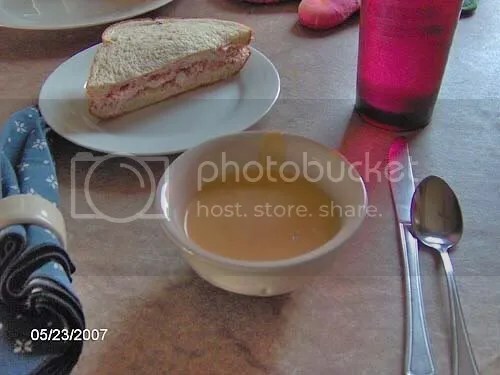 Ham salad sandwiches and soup. Maybe it was so boring because I wanted to redo the hot chocolate lab, or maybe it was because we already know how to make ham salad and cheese soup, maybe because the kiddos were snarky, or maybe it was because I just didn’t want to do a lab at all. For those of you who have never made ham salad or cheese soup, please…….enjoy! 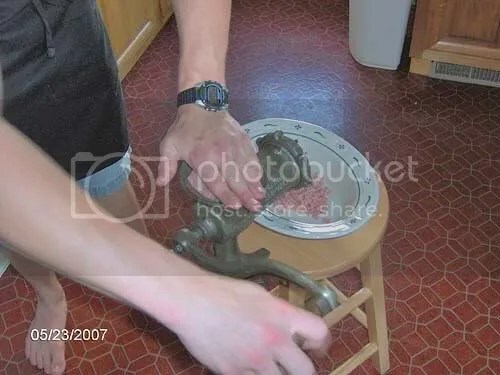 To make a really good ham salad, you need a grinder. I got one at an auction for .50. I refuse to put marks on my table, so we use a stool to clamp the grinder to. You also need a really good ham. Normally I use the rest of a ham I have cooked for a previous meal, but for this lab, I purchased a small turkey ham at Aldi. Yep…we are livin’ like kings!! It is also important to have someone who likes mechanical things to do the grinding. Just make sure that he isn’t snarky when he is grinding. 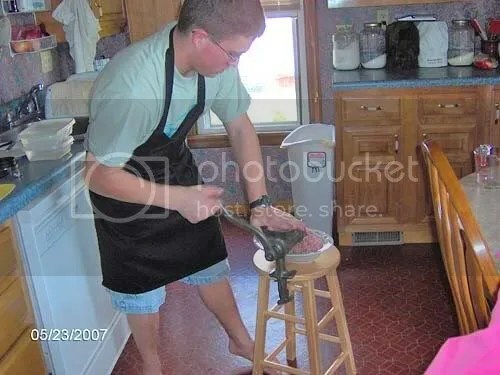 Alas, I don’t have any pictures of ham salad being made. I was on the phone with my sister. You need to make a rue. 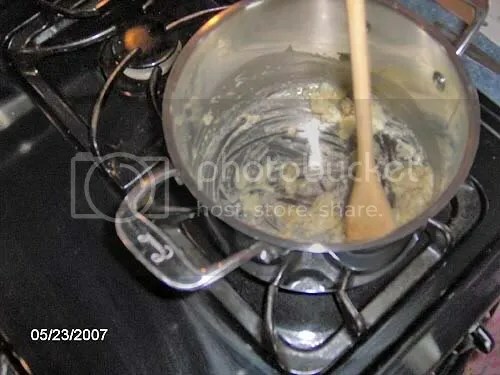 Melting butter and adding flour. Then cook for at least 2 minutes to get out the floury taste. We always add some onion before the flour to add flavor. 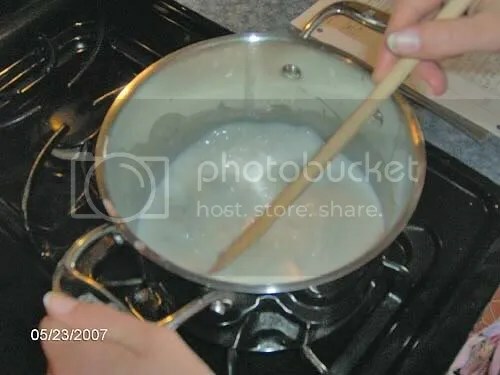 Then you whisk in milk. 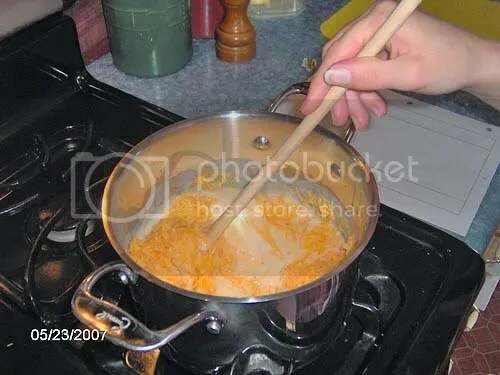 So why is she using a spoon? Maybe because of snarkboy?!?!? 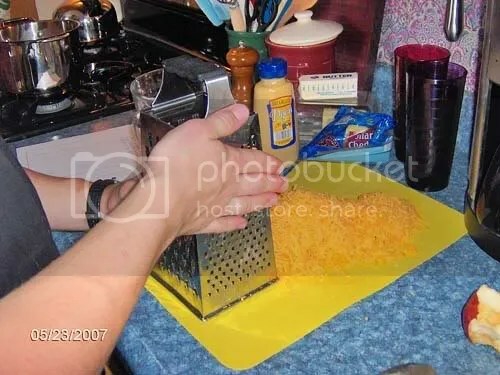 Grate 8 oz. of cheese. The more cheese the better. The recipe calls for mustard, so we put the mustard in, but it makes the soup downright gross!!! Once your milk has thickened~~you will recognize this as a white sauce~~you add your cheese. There are many things you can do with this cheese sauce at this point. 1. Serve it over broccoli, 2. serve it as soup, 3. add ham, potatoes and peas, 4. add corn, potatoes and crumbled bacon or 5. add more cheese. Please, please, please just don’t add the mustard. 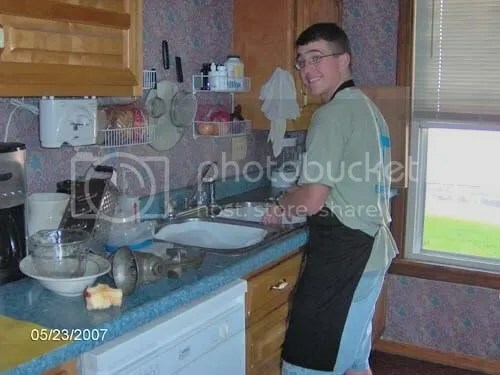 Nothing like seeing a man do the dishes!!! Nothing like doing the dishes to cure the snarks! P.S. I took this picture for those of you who wanted to see my hideous wallpaper. What do you to cure the snarks at your house? My sister’s comment the other day about Dot and Lute Green got me to thinking about Natalie Burgers. I haven’t thought about them in quite some time. Moving to Doe Run, Missouri was quite a bit of culture shock for us. For the 3 ½ previous years we had lived in Houston, Texas and Oklahoma City, Oklahoma. 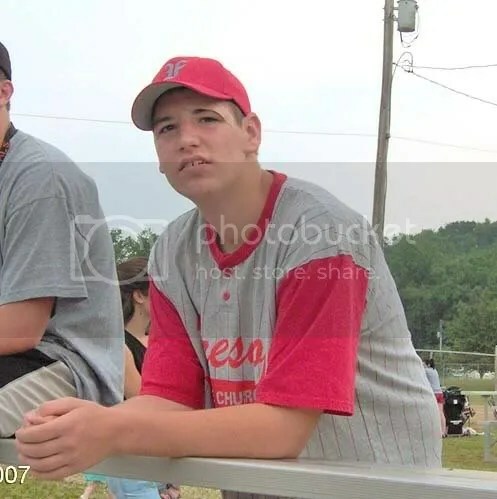 Then we moved to Doe Run 2 months into my senior year of high school. My graduating class in Oklahoma had 300 more people in it than the entire village of Doe Run, and that is including dogs, cats, chickens and the occasional pig. In my dad’s church there was this little old couple….Dot and Lute Green. Dot couldn’t wait to get married so she could get fat. She grew up knowing what everyone else around there knew…..if you were skinny, you were sickly. Way back then, my sister and I were………..sickly. My sister is still thin, but I wised up and got on the healthy train! One day, my sister and I walked over to their house, and Dot fixed us Natalie Burgers. They were named after their granddaughter. I watched Dot as she formed the patties and put them in her old cast iron skillet. Then when they were almost done, she skooched them over to the side of the pan and took the buns, laid them right in the grease and grilled them. Mom would have had a coronary right then and there, and I couldn’t wait to eat them!! She also made us wilted lettuce. That was something that 1. I had never heard of before, and 2. you put melted grease on your lettuce? I was a bit scared! What else did those people put grease on??? No wonder the woman was plump!!! Over the years, I have tried and tried to recreate a Natalie Burger. I have used different grades of burger, I have used different brands of buns, seasonings, no seasonings…I think I have tried it all, but I have now realized my problem. I just need more grease. After I master Natalie Burgers, I WILL conquer my mom’s apple pie! Is there something that someone special makes that you just can’t seem to recreate??? Next Tuesday the 29th, I will be holding my first “Name that picture” contest. Awoman on another blog that I read holds these often, and they are always fun. She gives out extravagant prizes. I am not her, so I will not be giving out an extravagant prize. My prize will be priceless!!! The prize is a lovely hand made dish cloth, made by yours truly.